Laguna Beach landscaping company, Wild Bloom, specializes in residential and commercial landscaping projects. We combine our aesthetic landscape architecture sensibilities, creative expertise and strong appreciation for a natural habitat with a passion for the environment. Our creative designers at Wild Bloom landscaping company in Laguna Beach have elevated landscape design to an art form. We’ll help you create your own personalized space, through careful selection of the right textures and colors, we can help you create a lasting and beautiful landscaping project with year-round appeal. We listen to your requests, requirements and ideas and even can design a conceptual perspective drawing of the proposed landscape architecture, which helps you actually see how the finished landscape will look. 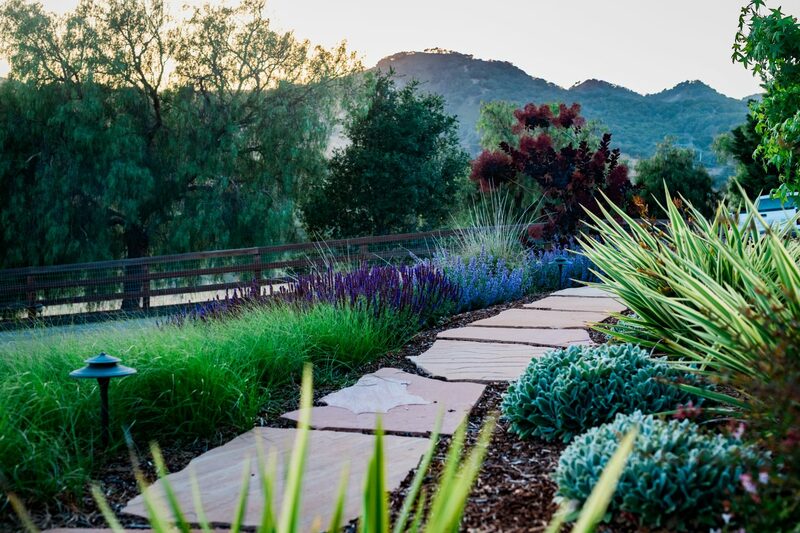 Committed to creating sustainable landscape designs that are low-maintenance, we’re a Laguna Beach landscaping company whose landscapes use native plants and unique hardscapes in our design and construction. Our landscape designs match the aesthetic of Laguna Beach, giving you a sense of place that is unique to your home town. Our landscape construction team uses detailed craftsmanship to bring your new landscape to life. We are always cognizant of the state's dwindling fresh water supplies. Our landscape designs use water modestly by improving drainage, using water collection methods, and selecting native plants. Low water requirements mean fewer resources are needed for the distribution of potable water. Our approach starts from the ground up. An added benefit of this sustainable approach to landscaping is a low-maintenance yard, lower water costs, and more hummingbirds and butterflys in your garden. It's a win-win!